Exclusive! Up the glamour of any outfit! Add the shimmer of sequins on soft, acrylic mesh for night or day. 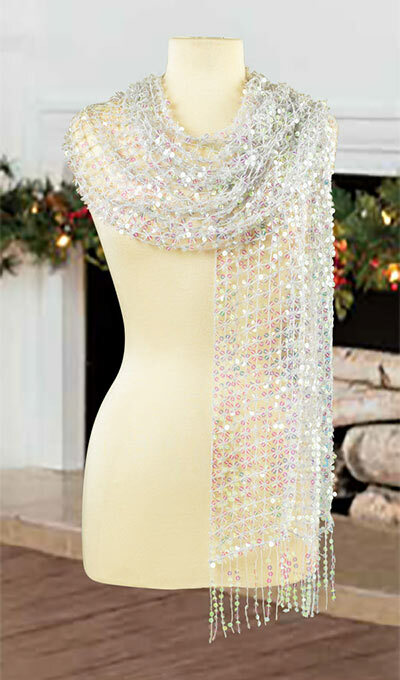 Our Iridescent Sequined Scarf features long tassels and is generously sized to wear as a scarf or wrap. Gentle wash. Imported. 12"w, 64"l.